Do cats cry? Cats can produce tears because of allergies, blocked tear ducts, eye infections, or even just natural tear production! So, tears aren’t always something to worry about. 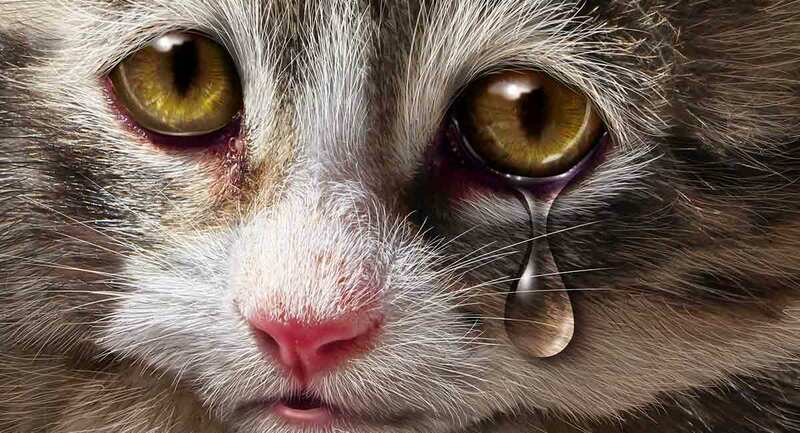 Science believes there is usually a biological or medical reason for cat tears. There’s that old saying about eyes being the window to the soul, and when our animals cry, we can’t help but wonder why. Cat tears can be particularly disconcerting for cat lovers and raise a lot of questions. But do cats cry like we do when they are sad or hurt? Cats, like us, have tear glands that produce tears that are essential for healthy eyes. Tears, together with blinking, keep their eyes moist and flush out foreign matter. Cats with low tear production are, in fact, often diagnosed with dry eye. Eye drops will be prescribed to keep their eyes lubricated and to stimulate tear production. While we have two eyelids, cats also have a nictitating membrane – often called the third eyelid. It’s in the inside corner of the eye, under the other eyelids. This membrane moves upward and protects the eye from scratches – like when your cat is moving through tall grass. It also usually becomes visible when your cat’s eye is inflamed. Ducts, called nasolacrimal ducts, drain tears from the eye into the nose from an opening in the inside corner of the eye. This is why your nose runs when you cry. What Makes Cats Wag Their Tails? We often read reports by cat owners that their cats cry emotional tears when they’re upset. Some of these stories are in the readers’ comments below. But so far there’s no scientific evidence linking cat tears with emotions. This doesn’t mean that cats don’t have emotions. They’re just expressed in other ways, like a sad meow. So Do their Tears Have A Purpose? Cat’s tears appear to be entirely functional in nature. They are caused either by something that leads to more than normal tear production or something that stops proper drainage. So if there are tears in your kitty’s eyes you might need to be worried about their physical health, rather than their emotional well-being. Some reasons for cat tears are nothing to worry about while others require a visit to the veterinarian. We’ll take a look at these causes below. Just like some people are more prone to watery eyes, your cat could also produce more tears than others. It could be completely normal or a sign of a mild allergy. In some cat breeds their facial structure affects proper tear drainage right down into the nose. 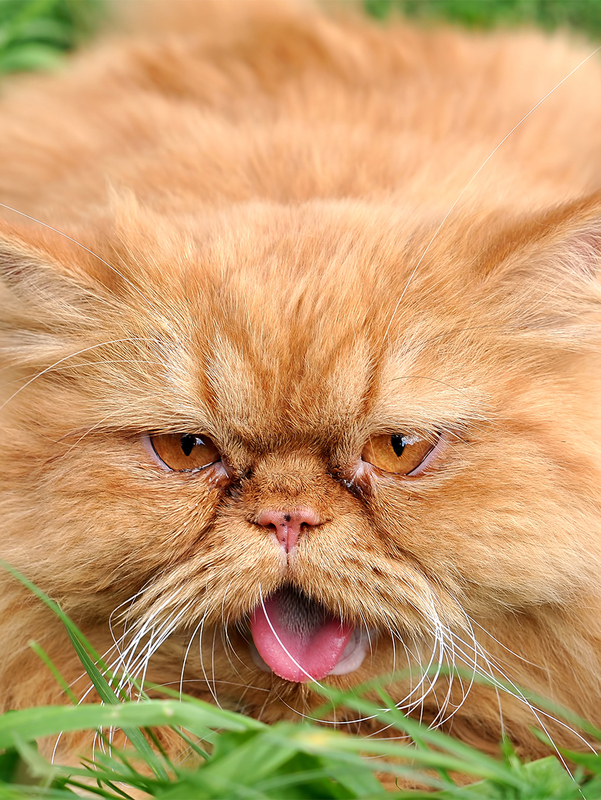 This occurs mostly in cats with flat faces that have a squished-in appearance – for example, Persians and Himalayans. The overflow of tears can cause unattractive staining. 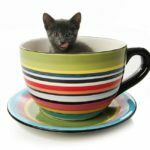 What Are Cat Tear Stains? 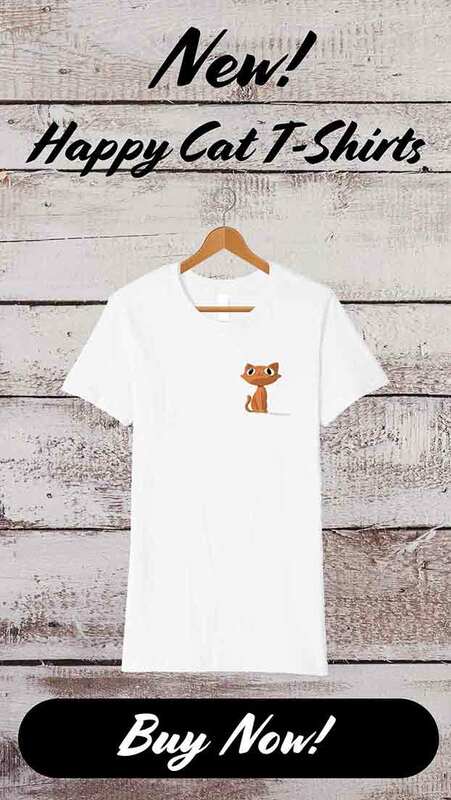 Cat tear stains are most obvious in lighter colored cats. These reddish brown stains might look like blood, but they’re actually not a cause for serious concern. Constant dampness from the tearing could lead to skin infections. If necessary you can wipe your kitty’s face regularly to keep it clean and dry. Use cotton wool dampened with plain water or otherwise get wipes designed specially for this purpose from your vet. However, if your cat’s appearance is really an issue then the condition can be corrected surgically. Excessive tears in your cat’s eyes is not normal. We’ll have a look at some of the common reasons for this. Do Cats Cry From Eye Irritants? As in humans, things that get into your cat’s eyes can cause tearing. This includes dust, a hair, insects, grass seeds, allergens, strong chemicals, and any other foreign particles. Producing extra tears to flush out the irritant is a natural response. The problem usually resolves on its own. But if the tearing lasts for more than 24 hours you should get medical attention. Also watch your kitty carefully. See the vet right away if the eye becomes red and inflamed or appears cloudy. Or if your cat keeps rubbing his head, squints or blinks a lot. These are signs that the eye might have been injured – and usually one can’t see a scratch or cut in an eye. An eye injury can become infected and could even cause blindness if left untreated. Tear ducts that are blocked can the be reason why excessive tearing goes on for a while. 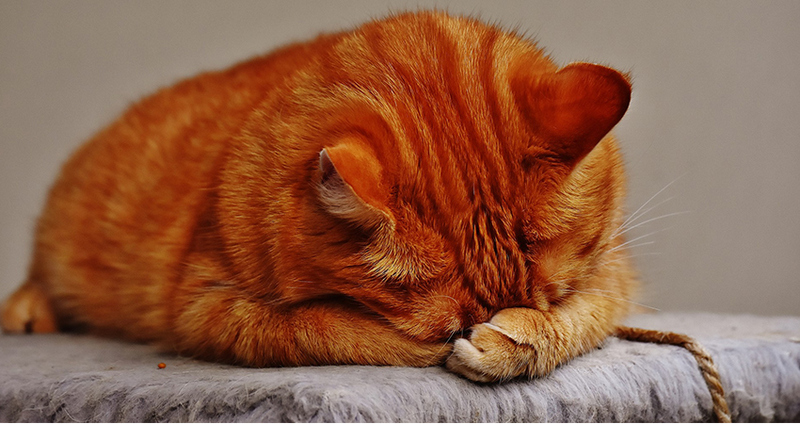 This is the most common reason why cats seem to cry. As already explained, tear ducts drain the fluid from the eyes all the time. They can become blocked by dirt or some other foreign body. Even the hair around your cat’s eyes might block the duct. Inflammation, and the swelling it causes, can also block tear ducts – most often from allergies and sometimes from an infection. Your vet can diagnose blocked tear ducts with a simple test. The procedure to unblock them is usually also not drastic. An eye infection also causes excessive tears and blocked tear ducts. Tears and a discharge are the most common signs of an eye infection. Initially the tears will be clear and later the discharge could become green or whitish. Other symptoms include swelling and redness. Usually the third eyelid becomes visible. 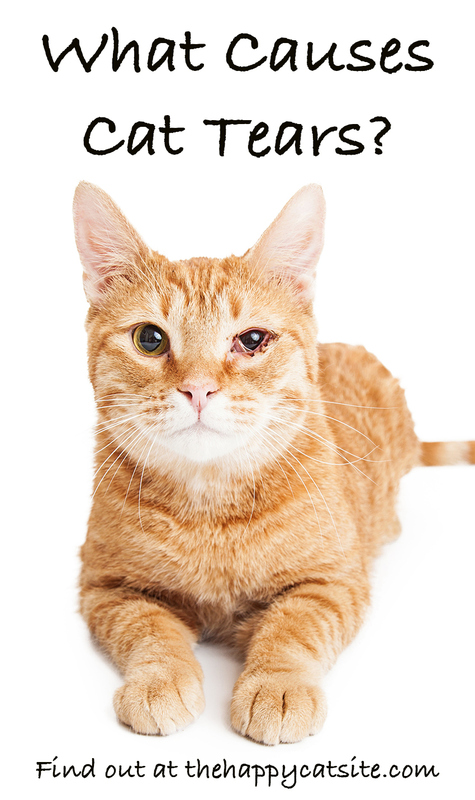 Ocular infections can lead to a perforation of your cat’s eye if left untreated. This is very painful and may result in more drastic surgical procedures. Eyes filled with tears is also one of the signs of an upper respiratory infection. One of the most common diseases in cats – just like colds and flu in humans. 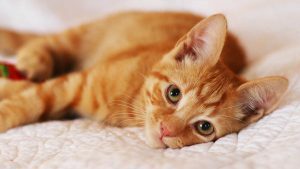 If your cat’s tears are accompanied by red eyes, sneezing, fever, nasal discharge, or salivation, he could be suffering from a feline respiratory disease. The feline herpes virus, also known as FVR virus, is most often the cause. The tears and nasal discharge are initially clear but soon become thick and yellow. 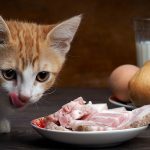 Your cat will also become withdrawn and lose his appetite. Your vet should treat any upper respiratory disease to prevent serious consequences. 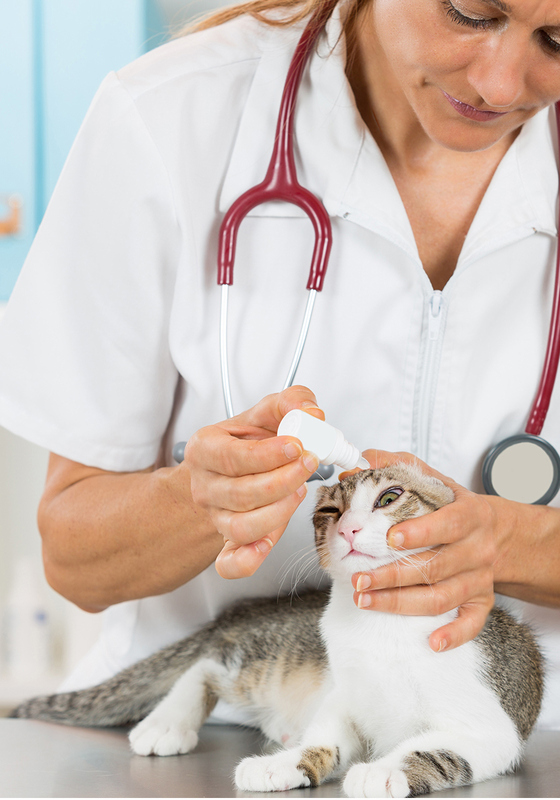 Besides other medication, he will usually also prescribe an antibiotic eye ointment to prevent the dried discharge from damaging your cat’s eyes. 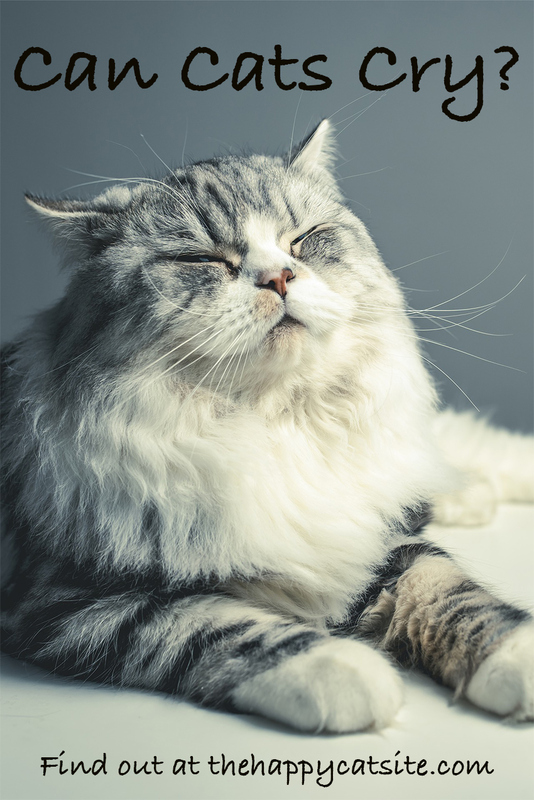 You can help to make your cat more comfortable by wiping eye discharge away with cotton wool dipped in clean water. Always wipe the eye from the corner outward and use a clean cotton wool ball for each eye. How Do I Stop My Cat’s Tears? Resolving your cat’s tears depends on the cause. It’s rarely as simple as handing your kitty a Kleenex and giving her some extra hugs. Sometimes the reason for tears is no cause for concern. When excessive tearing lasts for a while or there are other worrying symptoms – have your kitty checked by the vet. Glaucoma and abnormal eyelids are further, more serious, causes of cat’s tears that haven’t been mentioned. Also make sure that your cat gets all the vaccines that can prevent serious feline infections. Never use eye medications not prescribed by your vet, or meds left over from a previous eye problem. Anything more you want to know? Or want to make a contribution to the question “Do cats cry”? Please leave you comments below. Gelatt, K. N. Eye structure and Function in cats. MSD Manual. Kuehn, N.F. Feline Respiratory Disease Complex. 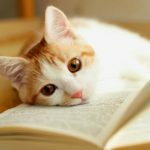 MSD Veterinary Manual. Ward, Ernest, DVM. 2008. Eye Discharge or Epiphora in Cats. VCA Hospitals. Web MD. 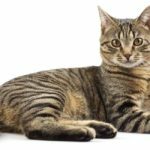 Eye discharge in cats. Hello, my cat started crying tears about a week or 2 ago and we thought it was normal, however, since yesterday, my cat has got the red mark which I believe its blood on her left eye, I just want to ask if it’s normal or does she need medical treatment. She isn’t showing any signs that she’s unwell but just the fact that she’s crying tears and has blood on her eye bothers me and the fact that it’s specifically on her left side makes me even more worried. Please if you have any suggestions that we could do at home please tell us. Thank You. Hi Gabija, Your cat needs to go to the vet straight away. I hope she’s feeling better soon. Go to the vet immediately. Blood is not a good sign. She may lose eye sight. Strange. My boy cries when igo away on trips and when he knows I’m mad at him. Those are the ONLY times. He can also open the glove compartment, pantry doors and sime drawers that house the cat cookies. He also is extremely affectionate and attached to my husband and I. Explain that. Why do people have to be told to take their animal to a vet? That is ONE of the responsibilities of having a pet. Take the poor animal to the vet before things get worse..
My old cat cried huge real tears twice a day while I was treating him for an abcess. I would put newspaper on the floor and he would stand perfectly still, crying, while i bathed and treated the affected area. He never once tried to get away but always cried from the moment I put the newspaper down. Incidentally he healed beautifully.